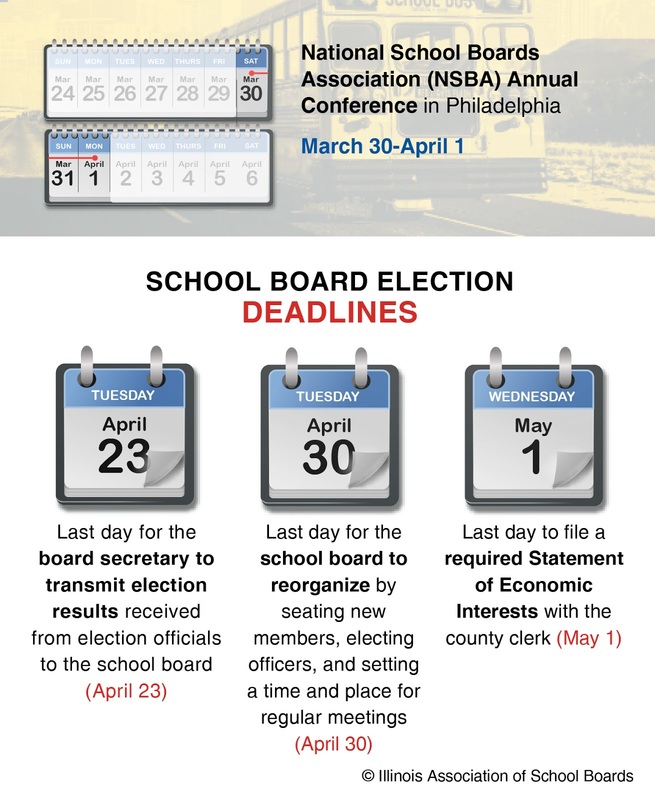 A quick look at IASB’s Annual School Calendar of legal dates and deadlines shows several important dates just ahead, most of them related to the April 2 school board election. One not related to the election is the upcoming Annual Conference of the National School Boards Association, set for March 30 through April 1 in Philadelphia. Click here to view the latest NSBA Conference information and the 2019 registration form. 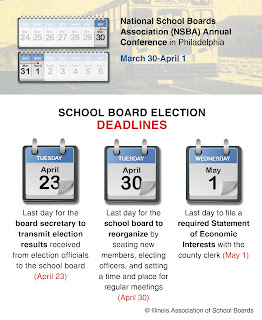 Key dates related to the school board election include the deadline for the board secretary to transmit election results received from election officials to the school board (April 23), last day for the school board to reorganize by seating new members, electing officers, and setting a time and place for regular meetings (April 30), and the last day for board candidates to file a required Statement of Economic Interests with the county clerk (May 1). IASB offers more election information and candidate guidance on its public website.